An injured penguin was found on the beach to the east of Calshot Harbour on 2nd July 2018. Its leg is thought to have been bitten by a seal, so it was rescued by the Tristan Conservation Team and taken to their department where they could care for him. 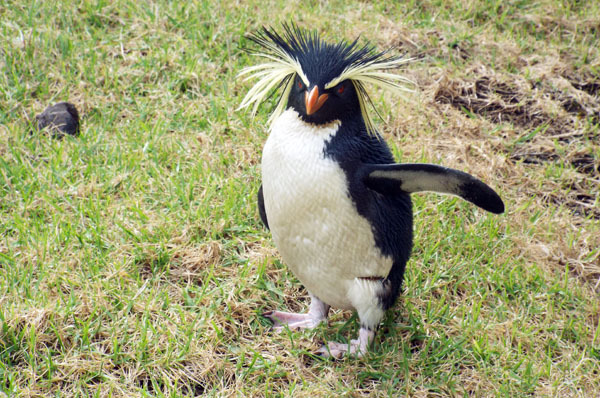 The Northern Rockhopper Penguin has been named "Rocky". It has been well looked after and is constantly improving with daily exercise and feedings. It is hoped that Rocky will gain full health to be able to be returned to the sea before long. We aim to update this story in the coming weeks.